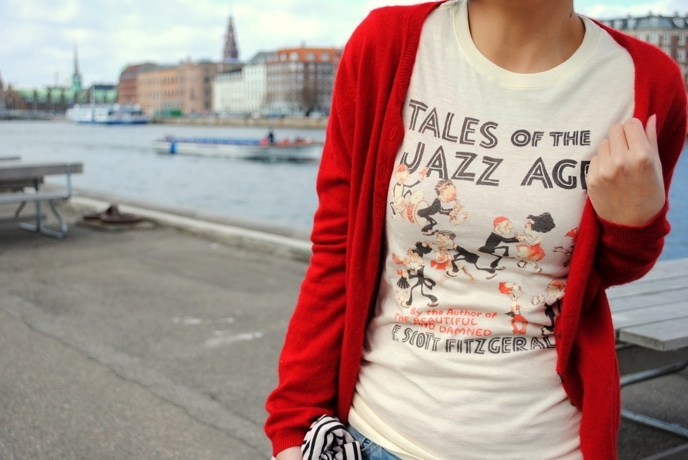 Last week I clicked over to Out of Print Clothing at the suggestion of a friend and fellow book lover. I’m very glad I did, not only did I get a couple of cool (and really comfortable) shirts but I helped put a book into the hands of a child in need. Here’s their mission: For each shirt we sell, one book is donated to a community in need through our partner Books For Africa.